OSAMA, OBAMA, AND GOVERNOR YUGUDA | ItuaLive! 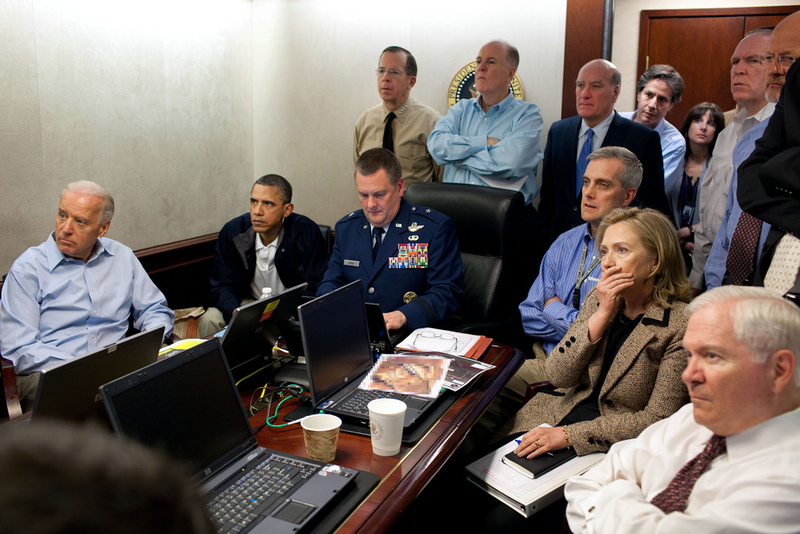 The world was greeted last week with the pleasant news about the assassination of Osama bin Laden. Up until his demise, Osama had been the United State’s most wanted man for over a decade. The death of the man responsible for the murder of over 3,000 people on September 11 2001 was met with jubilation and funfair in many US cities especially by Ground Zero in New York. Many held placards that boldly read: “thank you Obama” to show their appreciation to their President. The 25 million dollars bounty placed on Bin Laden’s head since 2001 did not seem like much of a motivating factor as the manhunt proved to be futile for many years. Some claimed he had died, others believed he was in the some cave or bunker planning his next terror attack. Osama bin Laden was found in the most unlikely place; not a cave or a hole as widely thought but in a 1 million dollar mansion in Abbattabad Pakistan. US Navy SEAL forces killed him and two other people in a “fire fight” bringing the hunt finally to an end. Reports suggest that Bin Laden had lived in his Pakistani mansion howbeit in sparse conditions for about five years! He must have had a good laugh watching the frustrated efforts of the American military in Afghanistan. US intelligence got lucky and followed the trail of a courier that ultimately led them to Bin Laden’s hideout. Two stealth helicopters carrying an elite squad of military men and a dog entered into Pakistani airspace and carried out a forty-minute mission. The helicopters used were some sort of new technology and the only reason the world now knows about their existence is because one of them malfunctioned and the team decided to blow it up after the mission. Al Qaeda struck the United States of America some in 2001. The frailties and vulnerability of US was bare for all to see. Everybody recognized that the world’s most powerful nation could also be hit. Americans did not feel safe on US soil anymore. Suddenly the assuredness and perceived cockiness was dealt an unlikely hand. The US seemed a bit demystified and the message of terrorism-fear-was engraved in the hearts and minds of her citizens. Osama bin Laden was the heart and soul of Al Qaeda and he sold his hate ideology to fertile minds which took terrorism to a whole new level. This new recruits considered him a god and saw him as a rallying point in carrying out their wicked acts. His existent meant that freedom which America stood for was compromised. America and Americans didn’t feel so free. Osama was a constant reminder of their sordid past. Osama alive, gave vivacity and hope to his ideology which made the war on terror a lot more difficult to tackle. The US knew that finding Osama was quintessential to bringing down the Al Qaeda Empire. Questions have been raised about why the US did not ask for the ISI’s (Pakistani intelligence) assistance on the mission. Apparently, the US government did not trust Pakistan. They had had a terrorist in their country all these while, a few kilometers from the capital Islamabad and it was inconceivable that elements deep within the Pakistani government were not complicit. The death of Osama has sent a clear message to every terrorist in the world. If you mess with us, we will seek for you, we will find you and we will kill you. This has brought to light the will and strength of the American justice system. When crimes are committed, catching the perpetuators and bringing them to justice is essential for the strengthening of institutions. It instills belief and trust into the citizens. Osama remaining alive and in hiding was a spit on the graves of the families of the people that lost their lives. President Obama has taken most of the credit for the killing of Bin Laden and rightly so. He showed strength and character in leadership as the US president. When President Obama learnt that Osama bin Laden could be living in Pakistan and his hideout identified, he had several options available to him. One was to send in a drone or a smart bomb to reduce the house to smithereens. This option came with its attendant disadvantage. If you say you have killed Bin Ladin, people will ask for evidence. The evidence would have been buried in rubble and taken months to unravel and might have possibly seemed impossible. Doubts would first be raised over the legitimacy of the mission then questions would have to be answered about sending a missile into another country. People would see this as an affront on the Pakistan’s sovereignty. It would have been George Bush and Iraq all over again. Still, this would have been the easier, safer and most convenient choice. Rather, President Obama took the riskier but decisive action to send an elite squad into Pakistan knowing that failure would certainly end his reelection into the White House. The economy is considered Obama’s major strengths and a goof on security or intelligence matters would have heightened doubts about his capabilities especially as this was his first major decision on security issues. Memories of the 1972 massacre of the Israeli Olympic team in Munich and the snatching of Elian Gonzalez in 2000 would have played over in his mind. But Obama was more concerned about the American people than about himself. He knew what finding Osama meant to them and America as a country and he risked his Presidency in the process. This kind of exemplary leadership is lacking in most leaders in Nigeria. Our leaders think about one thing only -themselves-when in office. I don’t have the words to describe the comments of Governor Isa Yuguda of Bauchi in reference to the slain Corp members during the post election violence. It is something you may have heard on radio or read in the papers. 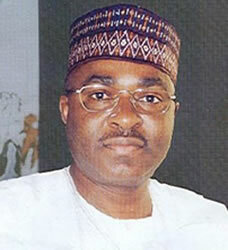 Governor Yuguda practically insulted the sensibilities of the parents of the killed youths in the raid. Hear him: “They (dead Corpers) were destined to experience what they experienced. Nobody can run away from destiny. When they were serving under me, they were the happiest in Nigeria. Immediately, I handed them over to INEC, it was the responsibility of INEC to protect them. They were not the only ones affected. My own house was burnt; they almost lynched my first son. It is part of their destiny. I was also attacked in 1979”. I have gone over Governor Yuguda’s comments over and over again to look for a sensible explanation or an excuse for his callous and insensitive statement. The first thing he says is that it is not Yuguda’s fault. It is the fault of INEC. What sort of leaders do we have? Leaders ought to take responsibilities and not push blame. Is INEC the chief security officer of the state? The governors collect over 400 million naira monthly for security vote outside their regular allocation to protect themselves and for state security. And now he openly declares and it is INEC’s responsibility to protect people within his state. The truth is that in Nigeria, we have the wrong set of people at the helm of affairs. The kinds of people that seek elective office do not have any empathy for the populace. There is a total disconnect between the leaders and the led. Governor Yuguda goes on to say that they (the dead Corpers) were not the only ones affected; that his house was also burnt. Somewhere in the Governor’s mind, a house and life are one and the same thing. There is obviously no value for human life in his statement. He equates a burnt house to slaughtered human beings. Is the loss the same? He further takes the spotlight off people like late Obinna Okpiri by saying his own son was almost lynched. Now, we are supposed to feel sorry for him right? The Governor didn’t stop there, what he had said was not bad enough. He had one more parting gift for the parents of these youths. He tells us he too was also attacked as a Corper in 1979! So in essence, what is the big deal about people dying in Bauchi State? If it happened in a South West state as far back as 1979, why is everybody making Yuguda’s Bauchi look bad. The Yoruba’s are bad too after all. He then decides to go religious by bringing destiny into the whole picture. What part of destiny is it to have ones head hacked down with cutlasses? It is only left to the imagination what those Corpers were thinking as the group of irate almajiri’s came at them. No Mr. Yuguda, this was not destiny. Destiny is when there is absolutely nothing you could have done about a situation after you have tried everything humanly possible. We did not try to save this guys, the country put them in harm’s way. This was not destiny, it was madness. What Yuguda has done by bringing destiny up is absolving the killers of the Corp members of any wrong doing. By bringing up destiny, he has implied that God killed the Corp members and the almajiri’s were only willing vessels. He has told us not to blame anybody; not the almajiri’s, not the Bauchi people, you could probably blame INEC but whatever you do, don’t blame Yuguda. This was all about him and his attempt to absolve himself of any responsibility. These are the words a serving governor has left grieving parents with. That the love, affection, and resources they spent went down the drain because of destiny. I have said this over and over and over again and I maintain my position. There can NEVER be peace without justice. Osama Bin Laden’s death has brought peace and the feeling of Justice to the minds of the families of those killed on 9/11. Obama was right when he said justice had been done. The killers of this slain Corpers MUST be found. There is no other way around this. They must be tried in the courts and punished. If they are found guilty, a state execution MUST be televised on national television and broadcasted on radio sets. This is the only way it would stop. As I write this, these killers are sleeping on their mats, eating food and polishing shoes while parents are crying. The rather surprising thing about this is that nobody is talking about it again. The news is gradually fading. We have all gone back to our businesses like nothing happened. If they are not caught and brought to justice, nothing stops them from unleashing mayhem again. Sometimes I wonder how our leaders sleep at night. How does anybody justify not taking immediate action about the NYSC scheme? A major problem we have in this country is that nobody tells the truth. Everybody is concerned about their own skins. It is unimaginable that no prominent person in government (Governor or even the President) has told Yuguda to apologize, clarify or withdraw his statement. In a normal country, Yuguda would have resigned by now. But here in Nigeria we are peculiar-one of a kind. Here we celebrate criminals and sew Aso Ebi’s to welcome them from prison. Here, the sons and daughters of looters seek elective office and are voted in. Here people win election while in prison. It is simply disgusting. Governor Yuguda has said he was misconstrued and his words were taken out of context. But he has since not bothered to put it in context or tell us what he really meant. This is not the first time NYSC members have been killed needlessly yet all we do is talk. Their deaths aren’t affecting anybody. The only mention I have heard about this is that the National Assembly want to “debate” over it. One question; if it was a senator’s daughter or son mauled to death, would this be a subject for debate? Who exactly would be debating? The out-going members (over 50% aren’t coming back) or the in-coming ones who have to learn the ropes of the law making business first? The truth is that if we want to do something serious about this, we would have done it a long time ago. We don’t even have to repeal the law setting up the scheme for something positive to happen. We can start by preventing more youths from going to these death traps. I have friends serving in Bauchi and Kaduna and they are already receiving calls from their superiors to get back to work! Apparently we don’t learn from our mistakes. The sequence of sweeping ugly events under the bushel has started again as they are told to get back to work as if the almajiri’s are no longer in Bauchi. There is no plan to prevent the ugly past from repeating itself again. This is like offering someone who was caught cheating in an exam a double promotion. There is no plan to punish the states or the perpetuators. States like Bauchi, Kaduna and Niger ought to be punished for not protecting the lives of Corpers. It should serve as a warning so that the people that live in these towns will appreciate anybody in national service and do all they can to protect them if anything like this come up again. In any other country in the world, no Corpers would be sent to these places for at least a year. But in ours, it has taken less than two months. Youth Corpers aren’t soldiers, most are actually kids just out of college in patriotic service of their fatherland. Obviously reforming the NYSC is not in the personal interest of some people so we will continue to pay lip service to issues like this. Honestly I am tired of writing about Nigeria. It is simply frustrating. All I desire is that we have good leaders. With good leadership a lot of these problems would be solved quite easily. If leaders are empathetic, then they will feel what every Nigerian feels. It would not be rocket science to solve simple problems. The elections are over, and many new and old leaders have been (re)elected. We can only hope the old ones have learned from their past mistakes and the new ones aren’t on the same path of error. The only way forward is for our leaders to begin to take difficult but necessary decisions like President Obama. President Jonathan must begin to do what is right and not what is convenient or what will please any particular region of the country. Some decisions may not win him friends or votes but they will save plenty of lives. Obama, while watching the SEAL team inside Osama’s hideout must have questioned his decision but within him, he knew what Americans wanted. He knew they wanted Bin Laden’s head and he was prepared to give it to them even if it would cost him. He knew it was about justice and even if he failed, he was prepared to fail to please them. Let President Jonathan do same. you know,i feel so sad for the parents who lost their shining light in the post-election violence.i understand what the corpers curently serving in that state are going thru and i say they must take a stand to either be relocated or assured of their safety b4 returning.when we experienced such in jos in january,pple were allowed to relocate.y shuld bauchi,kaduna or any other state for that matter be any different?thanks for your article.keep up the good work.